This webinar is intended for anyone working in a long-term care home to use tools to support learning about the pros and cons of conflict and strategies to manage and mitigate conflict in the workplace. Direct care staff, educators, champions, or other practice leaders are encouraged to attend. 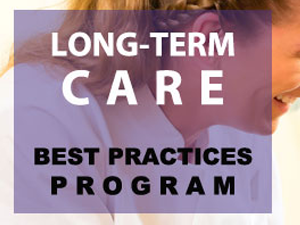 This interactive webinar will walk you through the RNAO Best Practice Guideline (BPG) Managing and Mitigating Conflict in Health-care Teams (2012) and associated resources in the LTC Toolkit. A second session will occur on Wednesday December 13, 2017 at 1:30 p.m. to 2:30 p.m.